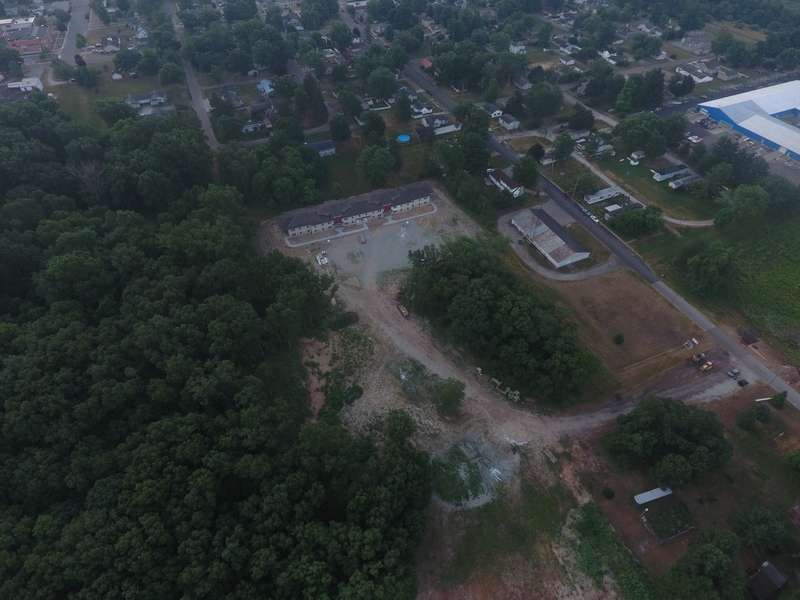 Les McFarland, Bourbon Town Council President, did us a solid Sunday, July 15th, and used his drone to take these (and a bunch of others) aerial pictures of Sand Hill Farm Apartments under construction. These are being used in the IHCDA application for the second phase – The Paddocks at Sand Hill Farm. This will be additional entry level housing. The application is supported by Culver’s Stellar Designation. It goes in July 30th and we’ll find out if we were successful in November. 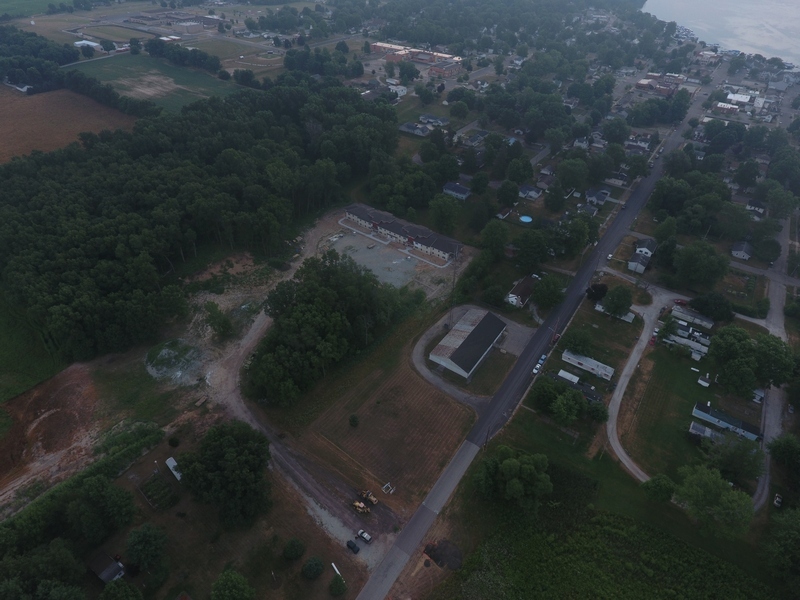 This is the kind of collaboration and connections that have been achieved due to Marshall County Economic Development Corp.’s (MCEDC) County Development for the Future meetings that brought Marshall County and all of our community leaders together to meet and discuss common goals. I would not have known Les to ask for his help without this connection. Les may or may not have helped Culver in the past before we met and shared our common goals. Now we’re embarking on Marshall County Crossroads – an effort to duplicate Culver’s Stellar success under the new Regional Stellar program. We should have an advantage as we have been collaborating between our communities for over five years. Thanks Les! Your help is sincerely appreciated.